The Waldo’s Retreat offers excellent Kennebunkport, Maine accommodations. 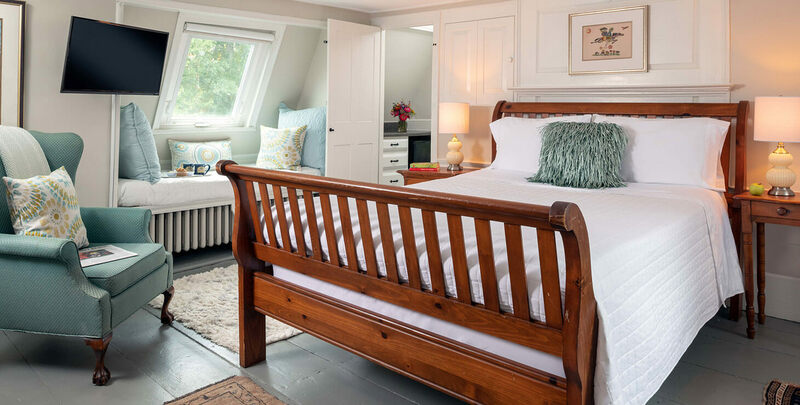 This cheerful second-floor suite at our Kennebunkport, Maine B&B is located above the kitchen in the oldest part of the house, under the Dutch gambrel roof. Blue walls, white trim, and traditional furnishings adorn this room. The windows look out onto meadow and flower garden views. Pet-friendly and offering a kitchenette, Waldo’s Retreat is ideal for extended stays and families traveling together. 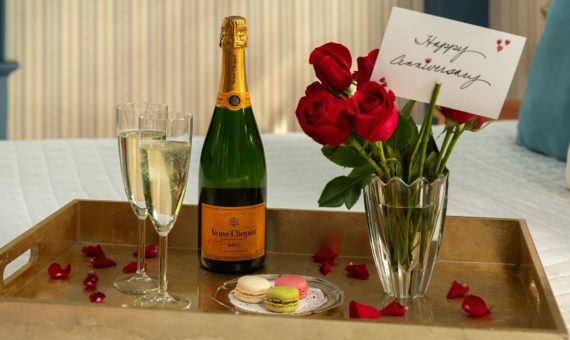 Celebrate a special event with flowers, wine, and macaroons.